Supercell generated around €881 million in tax revenue for Finland in 2016 from both its sale to Tencent and its own activities. As reported by the Helsinki Times, around €700 million of this tax revenue was generated by Softbank-owned holding company Kahon 3. It was established explicitly for the sale of Softbank's shares in Supercell to Tencent in June 2016. 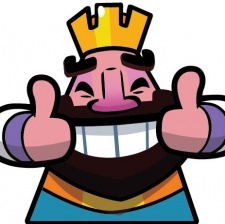 Supercell itself also generated a total tax bill of €181 million from its operations. It employs seven of the top ten income tax payers in Finland, who paid a combined €123.5 million in income tax in 2016. CEO Ilkka Paananen was the highest paid of the lot, with YLE reporting that he earned €46.6 million in taxable income in 2016. Creative Director Mikko Kodisoja was the second-highest taxed man in Finland for the year, with €40.9 million in taxable income. The developer wouldn't be generating all this money if its games weren't performing. Paananen revealed in a recent talk at Wired Live that Clash of Clans has been a top grossing game for 1,813 days of its life, and its portfolio of games has around 100 million DAUs. Clash Royale, the studio's most recent release, is also forging ahead as an eSport. It wrapped up its most recent $200,000 tournament in Atlanta at the end of October 2017.